Collecting comics can be a pretty fun, if not costly hobby. It requires keeping up with current market prices as well as the know-how of what makes a quality book. A lot of that weighs heavily on the cover. 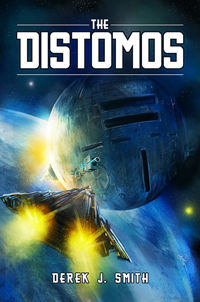 Having an original, un-restored version of the book cover is important, along with it having vibrant colours. Also having a cover fully intact improves the overall price of a book. But what about when a creator signs a book? What happens then? Surely if you have a copy of Jack Kirby and Captain America #1, you’d be sitting on a goldmine, right? What about a copy of Showcase #22 featuring a signature from Gil Kane? Chances are actually, the book would be worth less. Before you start shouting at the screen or balling your eyes out, let’s find out why – and see if you can do anything about it. 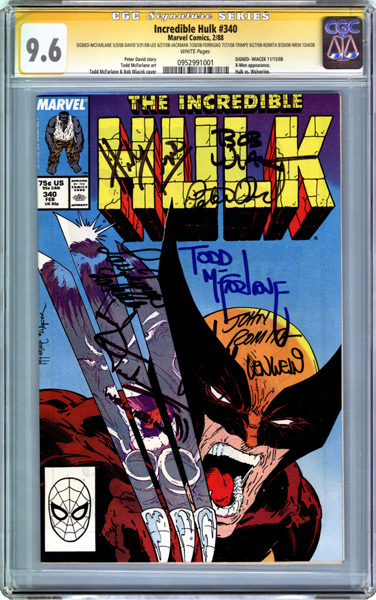 A lot of this hooplah about the quality of the book degrading over a signature can be somewhat blamed on the company, the Certified Grading Company, or the CGC. For a more in depth synopsis of the CGC, check out what I wrote about them in the past. But if you wish to keep reading, I’ll make it simple: the CGC is considered the best of the best when it comes to grading comic books, magazines, cards, and many other types of relatively-flat, printed collectibles. If you get your book graded by the CGC, chances are the price of your book can increase by a small or large margin. Considering there are a lot of scams within the comic book collecting hobby, the CGC are considered the best place to go to get the “truth” behind a comic book. Through their grading process, they have experts in restoration check to make sure the book is in its original form. From there, they will go through the entire book to guarantee the book is up to par and not missing any pages. At the end of the evaluation, they assign a grade on the book from .5 (Poor), to 10 (Gen Mint). The CGC will then put the book in a transparent case along with a coloured label to tell the viewer what kind of book they are looking at. Blues are the most common as they represent basic, graded books. A Purple banner means the book has been restored, while a Gold banner means it has an authentic signature. Because the CGC has become a staple in the grading process, the general comic collecting community has agreed (somewhat – but that’s also a whole other article for another day) that what the CGC says is authentic, and so the books should be sold as such. For example, if you have a non-CGC graded book (or an “unslabbed” book), it may only be worth $50. However, if you get your book slabbed, it may suddenly be seen as $100, or even more. That’s great news, no? But with signatures, it gets tricky. If you say, have a copy of Captain America #1 signed by Jack Kirby before his death in 1994, you cannot submit it for a Gold banner to the CGC. Even if you have photos or video of the event happening, they will not consider it for the Signature Series. This is because a CGC representative was not present at the time of the signing. I hope you see where I’m going with this. To receive a Gold banner for the Signature Series, a CGC representative must be present to witness the signature. Nowadays, CGC goes to just about every major comic book convention. It’s great money for them to do it. If you get a book signed by Neal Adams or Stan Lee with CGC present, they’ll grant you the Signature Series banner. But CGC only began in 2000, with their Signature Series starting in 2001. 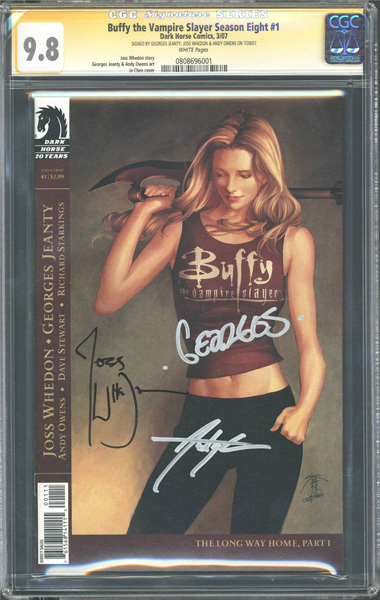 Any books prior to 2001 cannot be submitted for the Signature Series as a CGC representative would not have been present – let alone the company was even around then. That being said, you can set up a CGC-approved witness for a signing by contacting the company. So let’s get back to the slabbing of the book. For unslabbed books with a signature, the books are considered – to many collectors – not valuable, solely because there is no guarantee who signed it. Even if you have videos, pictures, and a great story to go along with it, CGC set the standard to signature books. A collector may be hesitant to purchase a book even if you provide the proof. This is only because in their minds, they may be aware of the CGC “standards” of the comic collecting industry. So if an unslabbed book is worth $50, and slabbed it’s $100, surely a Signature Series book will increase the value even more, right? Yet again, I’m poised to say the answer is both yes and no. Why it may increase in value: a signed book that is authenticated by the CGC is considered more valuable than a signed book that is not authenticated. The reason is that CGC guarantees the book was signed by the signer. There’s no if, ands, or buts about it. They guarantee the collector (or buyer) that the signature is real, and thus it would not depreciate the price of the book. They guarantee the signature is not just a “scribble.” It’s actually proven to be signed by Jim Lee! On why it’s not increased in value: sometimes you get buyers who do not want a signature on a book – that it “ruins” the artwork on the cover. Even if CGC authorized the signature, it still may not be what the buyer wants. Effectively, that signature may have just shunned away a potential buyer. Keep this all in mind if you’re a collector and are considering having someone sign your comic book. Questions, comments, or concerns? Sound off below! Or you can hit me up on Twitter and Instagram! And indeed, keep on Space Truckin’!